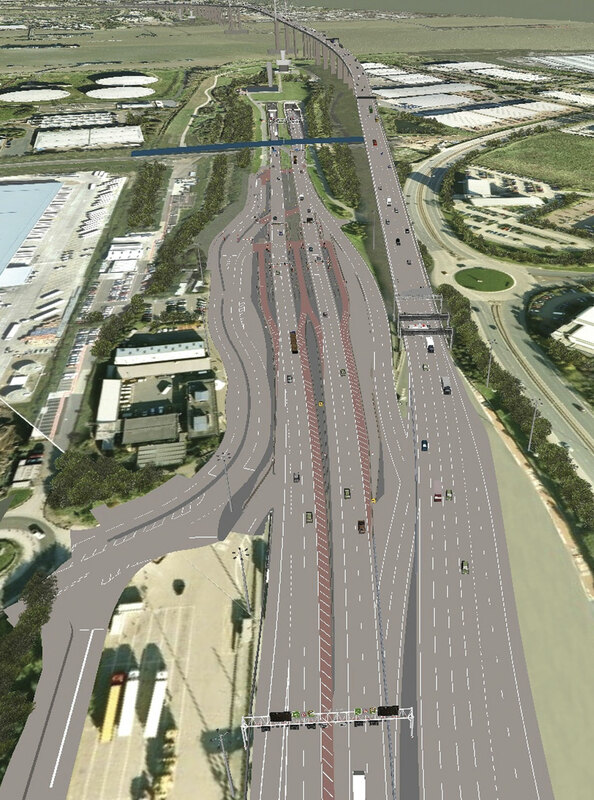 Following our story on the changes to the Dartford Crossing and some of the concerns raised by a number of operators regarding this (B&CB 1305, 5 December 2014) I’ve been speaking to Nigel Gray, Project Director Dart Charge at the Highways Agency and Simon McBeth of SANEF, an Operations Advisor to the Dart Charge Project. The objective was to clarify a few points raised by operators, find out what has happened in the last two weeks and determine what travellers can expect over the coming months. Since the project was launched at the beginning of the month, over 375,000 pre-paid accounts have been registered. On an average week day, this equates to approximately 60% of the traffic using the crossing. This has exceeded the unofficial target of 300,000 that they had hoped to achieve and is a credit to the agency’s public information campaigns. The accounts are pretty much 50/50 new accounts and those transferred over from the DART-Tag scheme. Following the article, I was still a little confused about quite where DART-Tag fits in under the new arrangements. My understanding was that existing DART-Tag customers had been migrated over to Dart Charge but that they were sending out additional tags, so, is it just new accounts that will be charged using ANPR? With regard to recognition by the ANPR system, operators have brought to our attention incidences in which attempts to register vehicles with private plates on the website had failed because the vehicle had not been recognised despite all the details being fully up to date with the DVLA. Simon explained that they had hoped for real time information from the DVLA, but unfortunately they would only agree to supply them with quarterly update reports. This may explain why some vehicles licensed with private plates did not show up. He suggested this could be down to new registrations or re-registrations as he hadn’t been made aware of any problem and was confident of ‘the highly sophisticated system’ that is in place. Simon was quick to respond that although they do not have real time data, they have a team of specially trained call centre operatives who will recognise plates outside of the norm and can contact the DVLA to clarify registrations and in turn, prevent the vehicle holder receiving a fixed penalty notice. This is in circumstances when the KADOE system (keeper at date of event) which is their first point of reference, doesn’t recognise the plate. Asked how the operation works for overseas visitors, Nigel explained that the ANPR system they have in place is very sophisticated and can read UK and non UK plates, though ‘No barrier-less scheme is evasion free.’ From a fleet perspective, it wasn’t an issue as returning overseas visitors, ‘tend to be more compliant’. He indicated it was an area that they take very seriously. Currently, they have registered vehicles from 52 countries, from as far afield as New Zealand. The Call Centre staff, who are based in Leeds, have been given special training to recognise registrations from outside of the UK. Some information regarding overseas plates is available from the DVLA. Obtaining license information is very much dependant on the country of origin. Not all country’s details are available from the DVLA as some are more reluctant to release information than others. For those concerned about overseas visitors getting a ‘free ride’, the European Debt Recovery system is in place for overseas non compliance, something SANEF in France have a lot of experience of. They are being and will be charged. With the system live, the teething problems being addressed and a public information campaign that has made travellers aware of the changes, what happens next? They are being fair and a letter will accompany the enforcement notice, giving the customer 14 days to pay any outstanding charges. It recommends, if they are a regular user, that they open an account to benefit from discounted charges. If the customer is compliant and pays within the two week ‘grace period’ then the fine will become obsolete. This was their own initiative and not something that was imposed upon them. Nigel commented that ‘they did not want to make money from issuing fines’ and that ‘they hoped that the number of enforcement notices would decrease as people registered for accounts.’ He accepts that the casual user from outside of the area may not be aware of the changes and for that reason, this system will remain in place for ‘a few months’ to new users, although he stressed that once you have been notified of the changes, if you go through again without attempting to pay, you will not be given another chance and you will be issued with an immediate fixed penalty notice. A ‘Traffic Management Cell’ is being set up which uses highly sophisticated laser technology to detect over sized vehicles or those containing hazardous products. It isn’t yet in operation and is currently undergoing rigorous testing at a disused airfield. 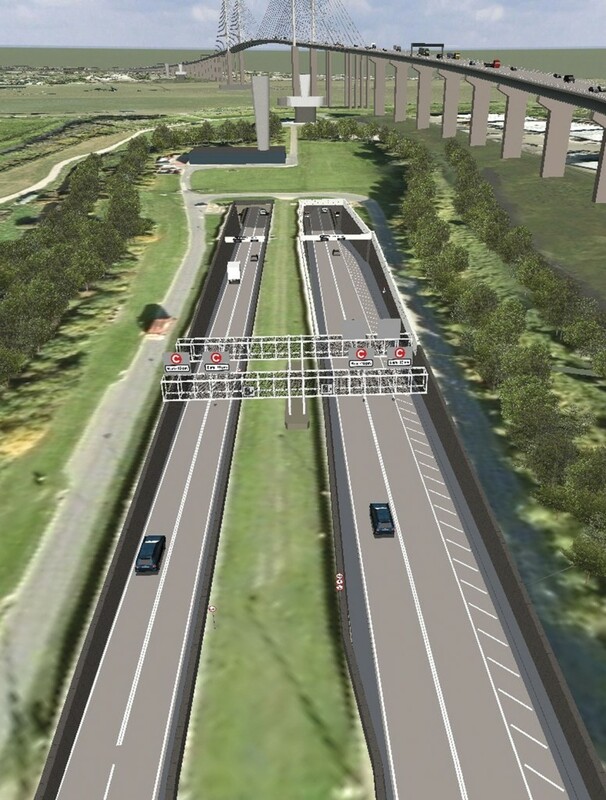 This will be in place several miles before the crossing and will direct the traffic in to a designated lane through a system of lights and barriers so that it can be assisted through its journey with minimal disruption to it and other road users. For such occurrences, some barriers will remain in place on either side. As those of you who have used the crossing in the last few weeks will know, the free flow operation is now in place on the southbound side of the crossing, although due to the chicane, a 30mph speed limit is in place. 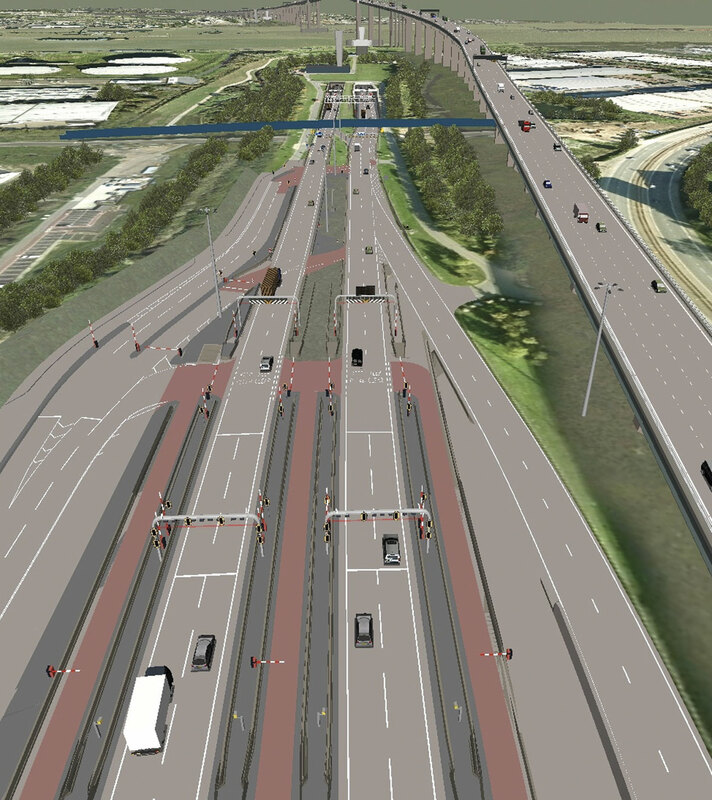 This will be improved and The Highways Agency is trying to minimise disruption as much as possible by completing the majority of the road works during the night. On the northbound carriageways, the barriers are currently in nodding mode to allow a steady flow of traffic and drivers can expect to start seeing these disappearing soon. Nigel explained that these weren’t straightforward road works and to expect disruption, particularly on the northbound side. The project is scheduled to be completed in April and the agency has advised that there will be ‘inevitable disruption whilst these improvements are being made but that the resulting improvements to journey time will more than make up for this.’ Already, southbound journey times have improved by an astounding nine minutes, with the northbound also decreasing by four minutes. This is based only on traffic movements in the week prior to the new system being implemented and isn’t a year on year comparison. Nigel made the point that this is a big caveat and that being so close to Christmas, the traffic patterns aren’t typical and so these improved journey times may not be fully retained. They haven’t set themselves a target but hoped journey time improvements would be between two and nine minutes. It will be interesting to see how these figures look in January when normal work traffic has resumed and come April when all four lanes free flow in final alignment. We will be reporting back.